The origins of St. Joseph’s Secondary School dates back to the 1930’s. The first secondary school in Charlestown was run by Miss Mary Agnes Cahill. It was a co-educational school where she employed two teachers. It was in the premises of the Byrne family which was near the town hall on Barrack Street. Unfortunately Ms Cahill left the school due to poor health. The Marist Sisters under Mother Nicholas took over the running of the school in 1942. It was an all girls’ school as this was the regulation of the day. The Marist Sisters lived close to the school however in 1945 they moved to larger living quarters in Church Street. The teaching staff now consisted of four sisters and one lay-teacher, who taught music. In 1952, the foundation stone for the new convent and school was laid in Lowpark. The school which was funded by the Marist Sisters was officially opened on the 18th of June 1953 by the Most Rev. Dr. James Fergus, Bishop of Achonry. In 1967, regulations changed under the free education system and the first boys enrolled in St. Joseph’s Secondary School. There were 78 first year students on the roll. 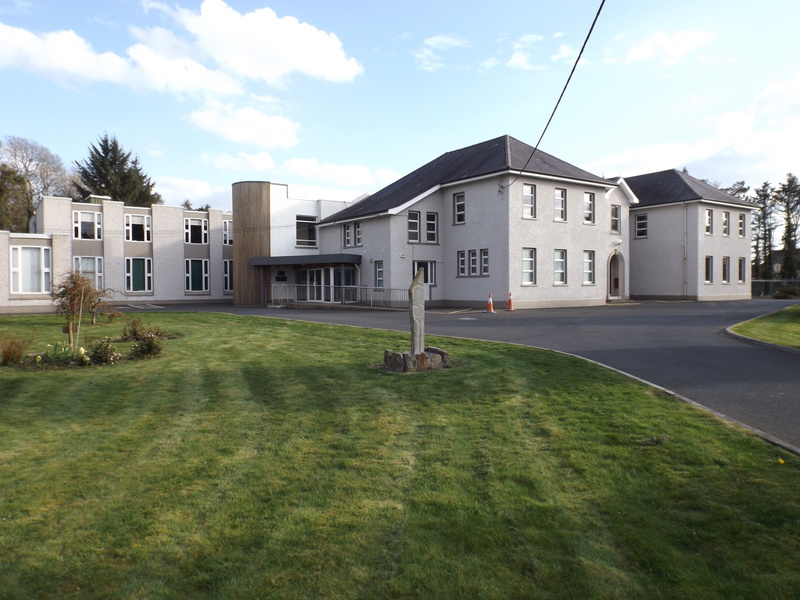 In 1970, an extension was built which was grant aided but also jointly funded by the Marist Sisters. Various smaller buildings were added by the sisters at times when they were needed including a state of the art computer room. The school underwent one of its biggest transformations in 2010, a face lift and extension was funded by the Department of Education. The school was fully refurbished with extensive works carried out in all areas of the school. On Friday 26th November 2010, the Opening ceremony was performed by Bishop Brendan Kelly of Achonry, alongside Dr. Michael Ryan, a past pupil and a director of the World Health Organisation. On the 1st of September 2014 St. Joseph’s Secondary School came under the auspices of the Mayo, Sligo & Leitrim Education and Training Board. The school is now known as St. Joseph’s Community College.